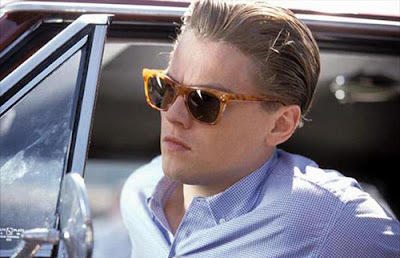 After seeing the movie "Catch me if you can" with Leonardo and Tom Hanks, there is a scene where Leo is wearing a pair of sunglasses just like this at the airport, and ever since then my quest to find them begun haha. Here is a picture of him wearing a similar pair. Even though his may even be Ray Ban Tortoise shell, I knew the woody look sunglasses were out there somewhere ha. 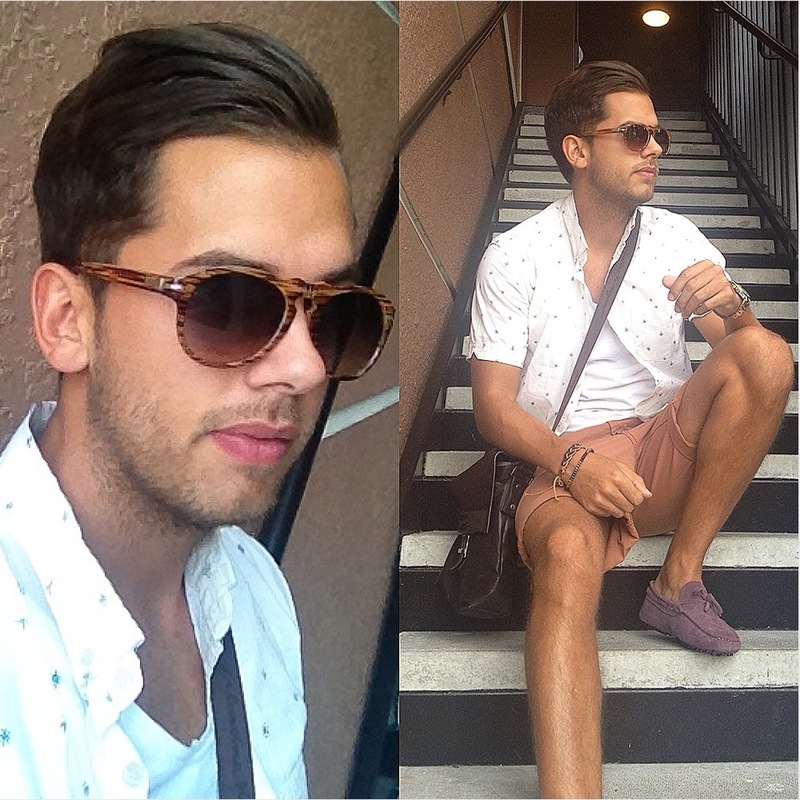 I also like the color mix of my outfit with the white, brown and purple finish.